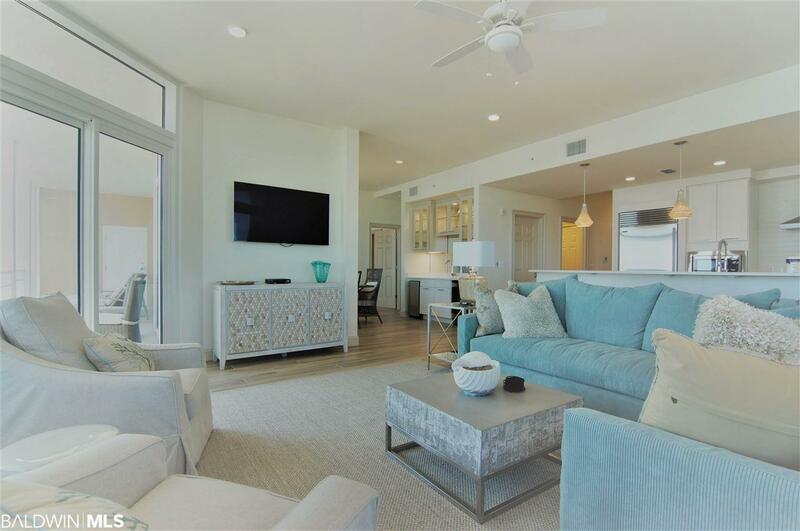 Brand new spacious four bedroom plus media room designer furnished residence with 300 degree views of the Gulf of Mexico and Intracoastal waterway. 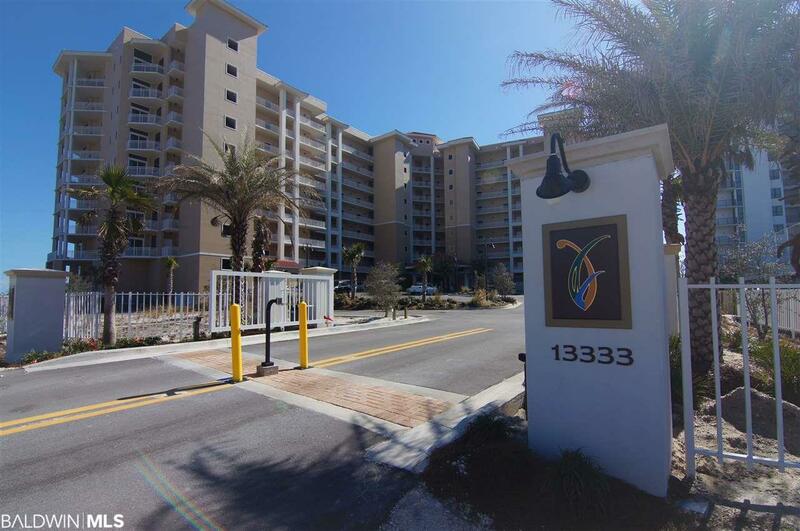 Gated entry to community. 1.5 parking spaces per residence. Grand entry lobby featuring multiple seating areas, custom artwork, and breathtaking views. Private owner storage. High speed elevators with climate controlled lobbies. Covered, outdoor seating areas. 7-night rental restriction. Owners health club featuring a fully-equipped fitness room, yoga studio, and massage treatment rooms. Residents club room with bar, pool table, and TVs. Heated, indoor pool. Kids club room. Multi-use owners room. Lavish outdoor pool oasis with expansive beachfront deck and hot tub. 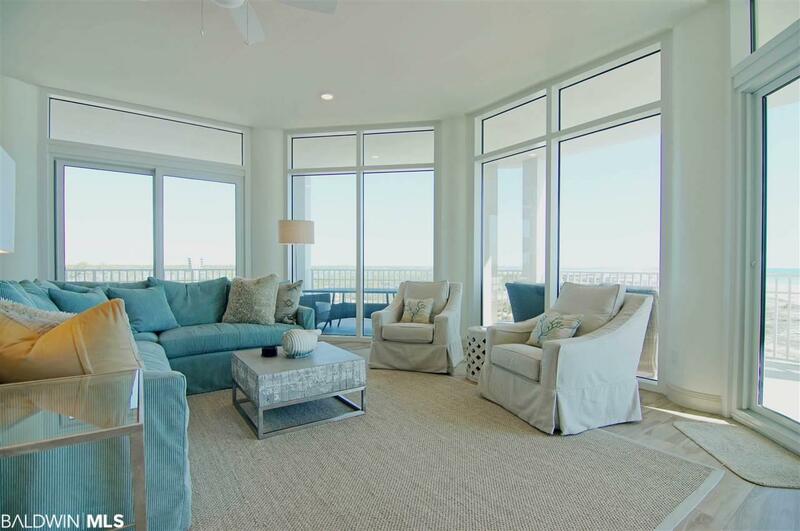 Adjacent to over 5 miles of the pristine Gulf Islands National Seashore featuring nature trails, bike trails and beautiful, untouched beaches. Chefs kitchen featuring Wolf range and Sub-Zero refrigerator. 10 ceilings. Marble floors, counter top and tub surround in Master Bathroom. Large, walk-in closets. Pre-wired for surround sound in living room. 8 solid core doors. Impact resistant glass windows. Separate laundry room with full size washer and dryer. Large, deep balconies for outdoor living. Wet bar with ice machine and wine refrigerator. Outdoor grill on balcony.